Bom Bom Island resort is the heart and soul of destination Príncipe. 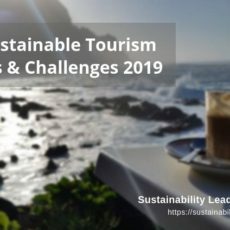 The hotel is the first in Africa to obtain the Biosphere certification for hotels, awarded under the auspices of the Instituto de Turismo Responsable (ITR). During our stay at Bom Bom Island Resort, we had the chance to not just enjoy this excellent location in a truly spectacular environment, but also to talk to Sérgio Duarte, the resort’s general manager in charge of making sure staff and equipment are in line with sustainable best practices. 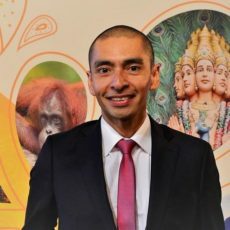 Sergio, as General Manager of Bom Bom Island Resort, which have been the main lessons for you? Personally, with all the challenges that this island has for the local community, I’ve learned that we all can live with less and give more importance to small things and not being so materialistic. Professionally, I have learned to be hands-on in all the operational departments, and how to drive a tractor if we need to get more water for the resort! 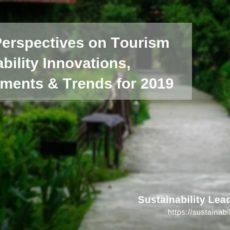 Which are the main sustainability challenges at a resort like Bom Bom Island? Our biggest sustainability challenge at the moment is to become independent from diesel as source of energy 24/7. We would like to use more local products, but there is only a very limited availability on the Island. Training our local Bom Bom Island resort employees to a level that they can provide top class service and run the resort themselves, so that expats and foreign labour are no longer necessary. 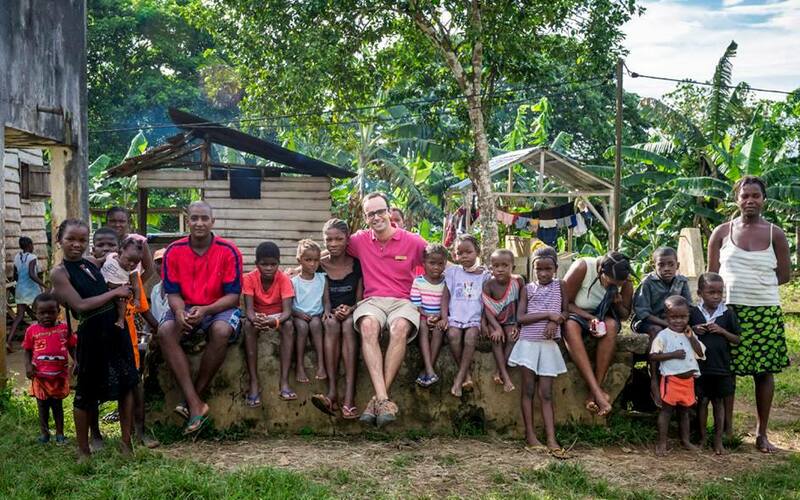 How does the local community benefit from Bom Bom Island Resort? Directly: we employ 68 local workers with salaries above average and fair working schedules. We buy all our vegetables and fish from local producers. We collect donations from our Bom Bom guests and invest those into training programs for all the workers. Indirectly: We hire local companies for specific works, provide shuttle transportation for all our workers, pay taxes and assist the local authorities by allowing them to use our means whenever necessary. Which sustainability initiative at Bom Bom are you particularly proud of? I’m very proud of involving all our guests in the local culture and to manage the first Hotel in Africa with such an important certification. Bom Bom was the first hotel in Africa to receive the certification as a Biosphere Responsible Hotel. What makes Bom Bom Island as destination so attractive? Bom Bom is a tiny islet off the north coast of Príncipe and provides the perfect base from which to discover this magical island. The small resort found there extends across two gentle beaches and nestles between lush rainforest-covered hills. In Bom Bom you will find a haven, shelter and a restaurant where you can enjoy magnificent views of Príncipe and the ocean. The BOM BOM island resort has 20 bungalows with comfortable and secluded accommodation. All bungalows are 10 m diameter with en-suite bathroom, air-conditioning, satellite TV, safe, mini bar and veranda. Bom Bom island Resort is open all year round. Temperatures vary from 23 to 30°C. The rainy season runs between October and November, and from March to May. At all other times, the weather is generally dry. Connect with Sérgio Duarte on LinkedIn or visit the resort’s website for more info. Thanks to TAP Portugal for supporting our visit of São Tomé and Príncipe as travel sponsor. TAP flies from Lisbon to São Tomé three times a week. 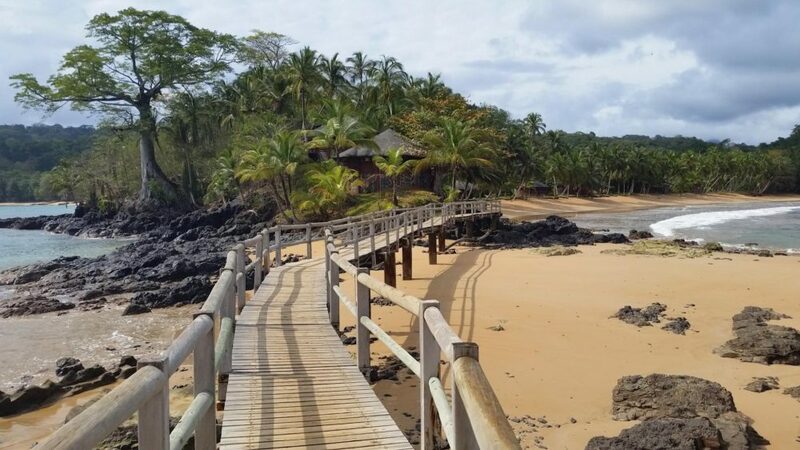 Enjoyed our interview with Sérgio Duarte, General Manager of Bom Bom Island Resort in São Tomé and Príncipe, West Africa? Share and spread the word!